A polished sterling silver bead from Chamilia, adorned with a sparkling crystal heart. Chamilia's extensive range of stunning beads allow you to form bespoke jewellery exclusive to you or a loved one. This lock bead has an internal device to keep it firmly in place, preventing any beads from falling off. Express your passion with this sparkling heart bead. 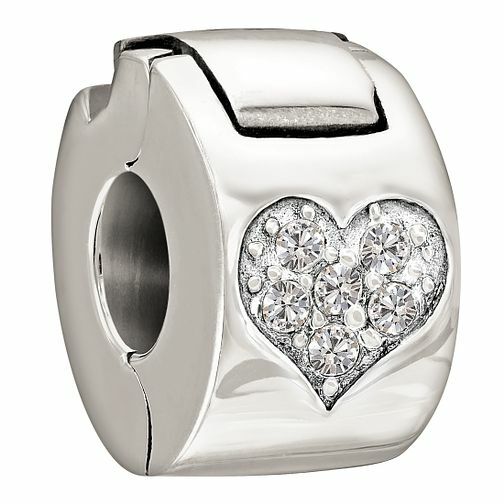 Chamilia Jewelled Heart sterling silver crystal lock bead is rated 4.0 out of 5 by 1.